Xin Xin and Lawrence Deschner fell in love with their 1912 Craftsman home in Renfrew Heights 20 years ago. 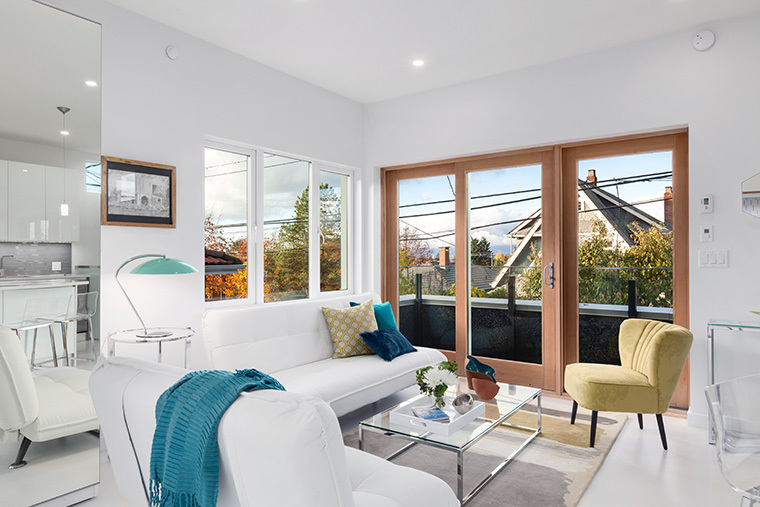 The three-storey hilltop house offers breathtaking views of downtown Vancouver, the North Shore Mountains and the ocean. The scenery and convenient location near the Skytrain make the couple unlikely to ever move. Working and raising two children, they had no time for gardening, but when their youngest turned 17 two years ago, Xin Xin finally contacted a landscape designer. “I was shocked at the $85,000 to $100,000 estimate to pour concrete walls and do the other things I wanted,” she says. A keen researcher, Lawrence discovered that all the landscaping could be done as part of a new laneway house construction. The Deschners liked the idea of providing affordable housing in expensive Vancouver for their son and daughter. Lawrence visited other laneway houses to gather ideas. 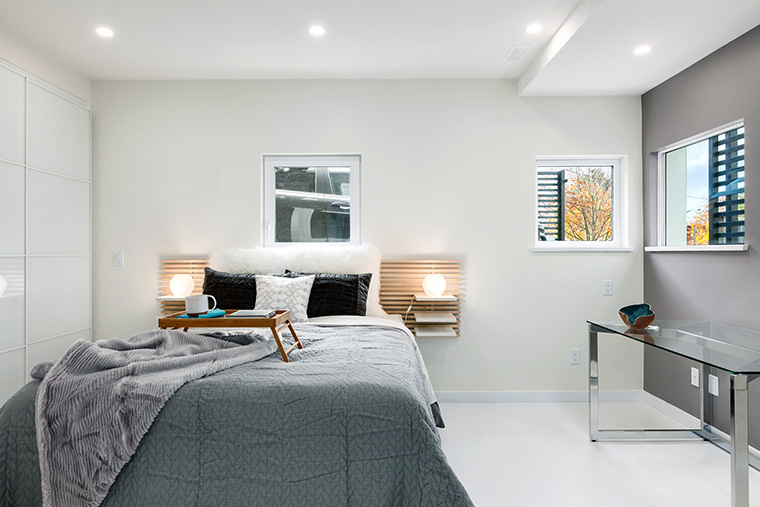 He noticed that Lanefab had experience building laneway homes on sloping lots. 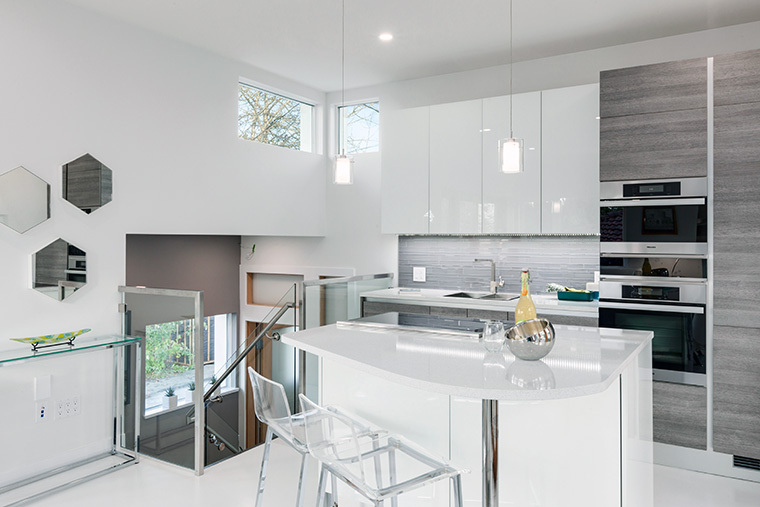 He quickly became impressed with the builder’s goal to create “passive homes” with the use of prefabricated structural insulated panels and other energy-saving features. 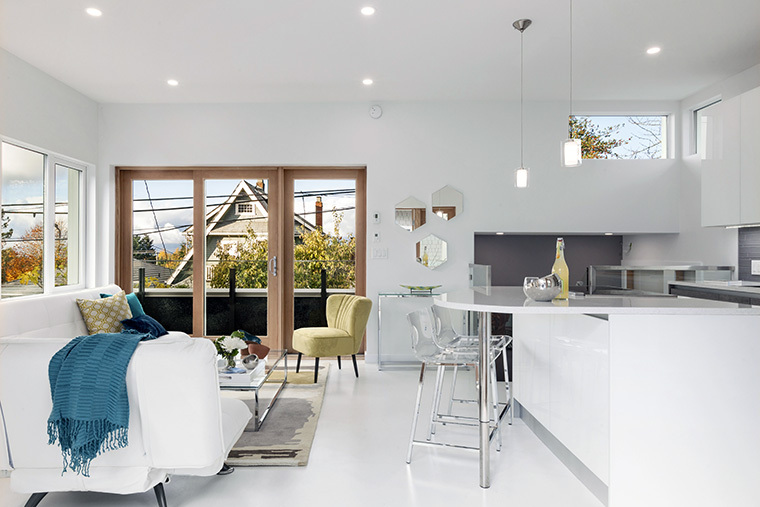 Lanefab completed Vancouver’s first laneway house in May 2010. Some people opt for them as affordable second homes for multi-generational families, while others are renting them out for additional income. As planning got underway, the Deschners realized they wanted the new, smaller home for themselves and a simpler lifestyle as they grow older. 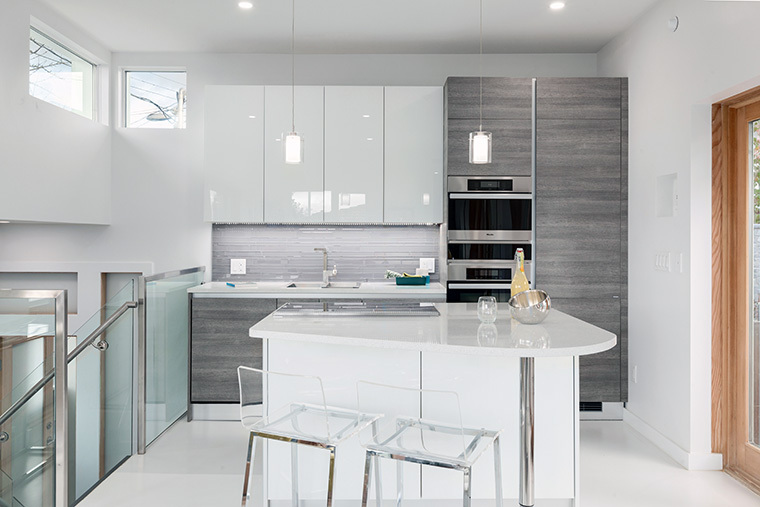 The couple embraced the concepts presented by designer Bryn Davidson, one of Lanefab’s principal owners. “I really do consider him to be a genius, not only with the technical specifications required by the city, but with the layout he devised so the new structure didn’t obstruct the views from the main house,” Lawrence says of Davidson. 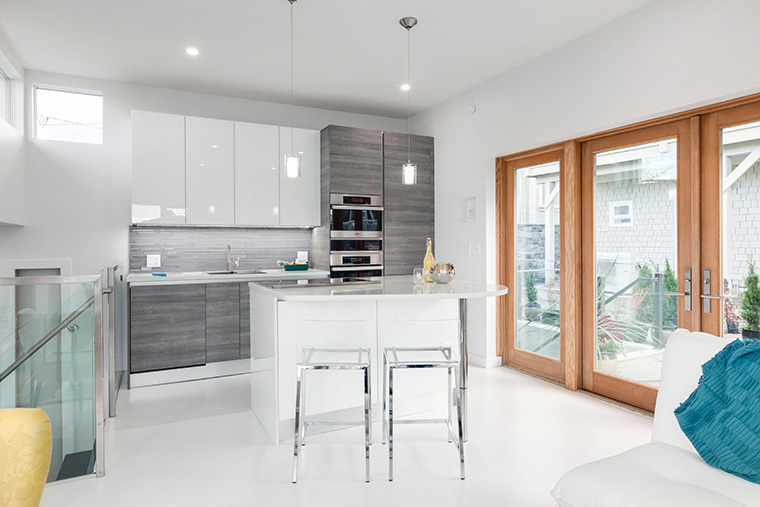 Lanefab built its first net-zero, solar-powered laneway home in February 2012. Xin Xin was initially skeptical about how much energy 22 rooftop solar panels could generate in cold, often rainy Vancouver, but now appreciates the net gain the Deschners contribute to the main electricity grid annually because of the region’s long summer days. Borrowing passive housing and energy technology strategies developed in Germany, Lanefab insulated the home so well, it doesn’t need a central heating system. 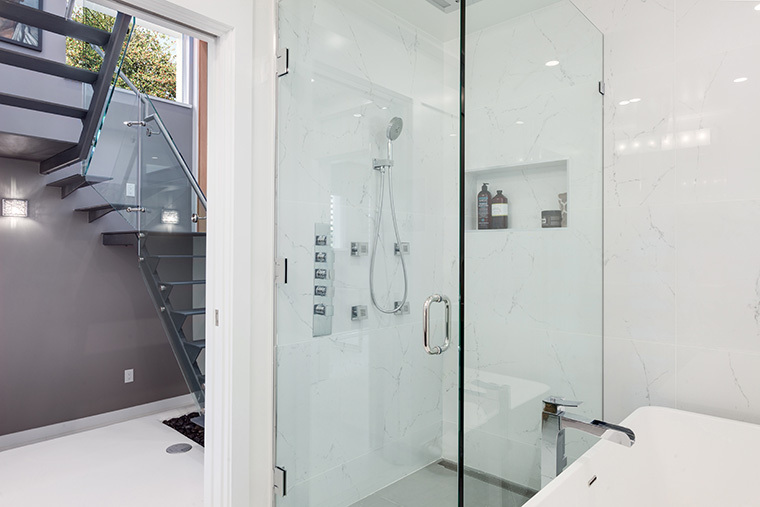 Lanefab incorporated two bedrooms and two bathrooms into the structure. 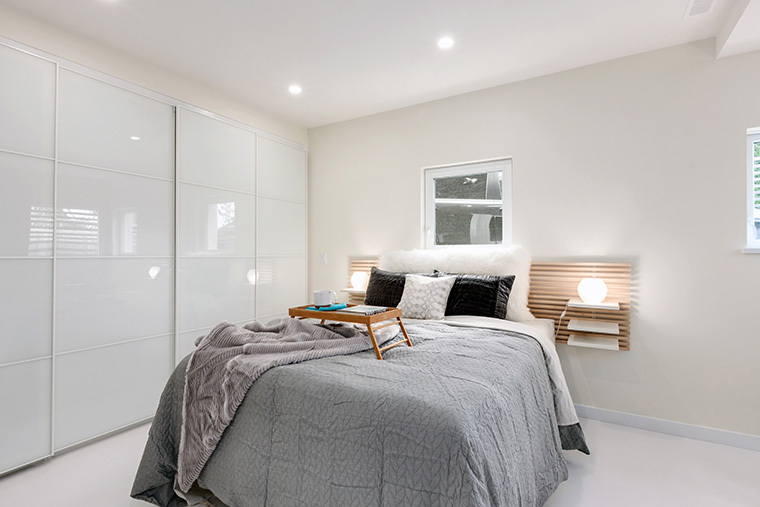 Space is maximized by ascribing multiple purposes to rooms. The second bedroom, for instance, doubles as a family room with the use of a sofa bed. At the same time, the couple prioritized their comfort. 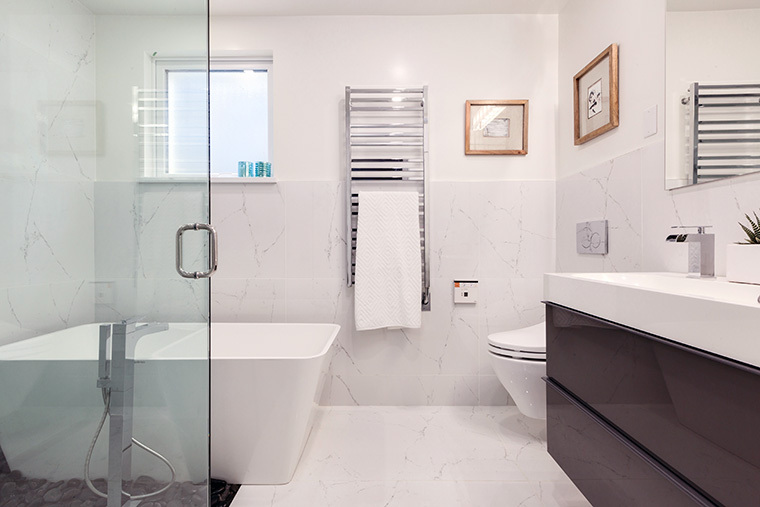 They opted for two rather than three bedrooms to give extra space to the master bedroom and to the ensuite bathroom, which has a large tub and separate shower. The landscaping offers the family a private oasis that reminds Lawrence of the courtyard housing that existed 25 years ago in Xin Xin’s neighbourhood in Beijing, China. It also looks great without much maintenance and gardening.